This part covers the coast between Le Tréport (westbank) and St-Valéry en Caux. (KVA E1 and KVA E2) Dieppe itself was heavily defended. 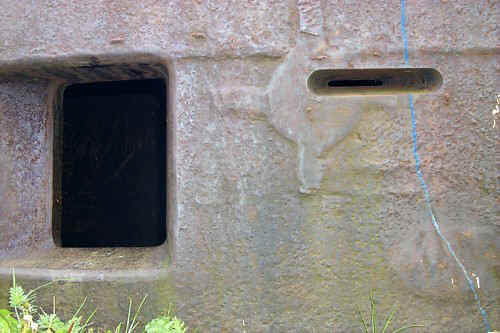 The small surrounding villages have also nice bunkers to visit. The allied forces preformed "trial" landings in this area (1942), so you can find many monuments. This part connects in the south to KVA F at Fécamps in section Dieppe. It was visited by a small team in 2001. Additional pictures are from 2007, by Henk Adriaanse who also made a major update in 2011 with Jack Koorneef. Highlight of the Dieppe area is the rare Mg-bunker type 632 on Mont Robin.